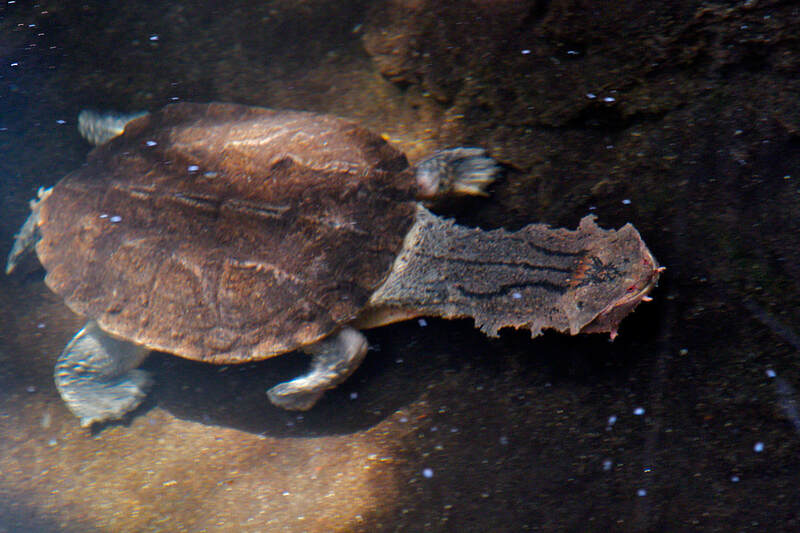 12”-18” (30-45 cm) in length, its shell has high bumps and is covered with moss and water plants so that when motionless, the turtle looks like a rock. Swampy streams and rivers, these turtles are highly aquatic and rarely leave the water, preferring standing or slow-moving water. Fish and other small fresh water animals. Unlike other turtles, the jaws are fleshy and not hard. The female will lay between 12-28 eggs that will incubate for an average of 208 days. Not currently threatened, yet trade is restricted. ​The Mata Mata Turtle’s nickname is the “smiling turtle” due to the shape of its mouth. These unusual looking turtles are amazingly well camouflaged in their habitat. Mata Mata are poor swimmers for long distances and typically walk along the river bottom! 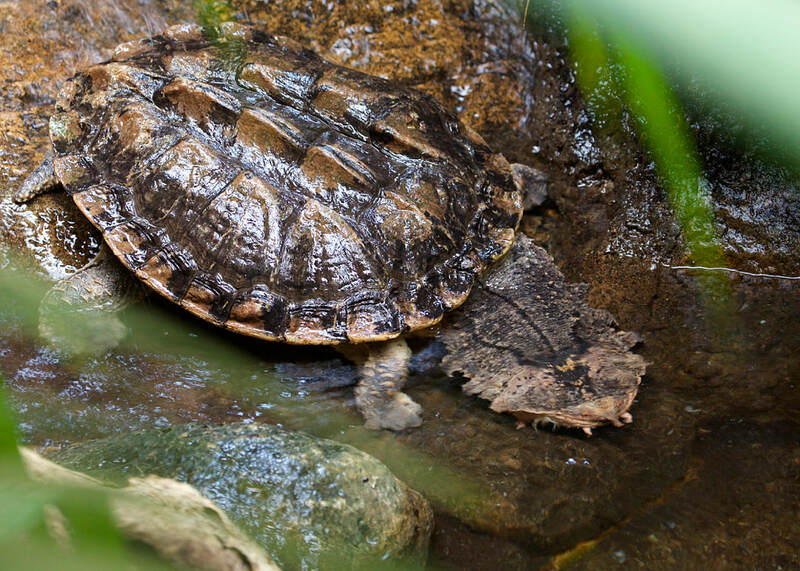 The Zoo has two exhibits of Mata Mata Turtles in our Rainforest building.